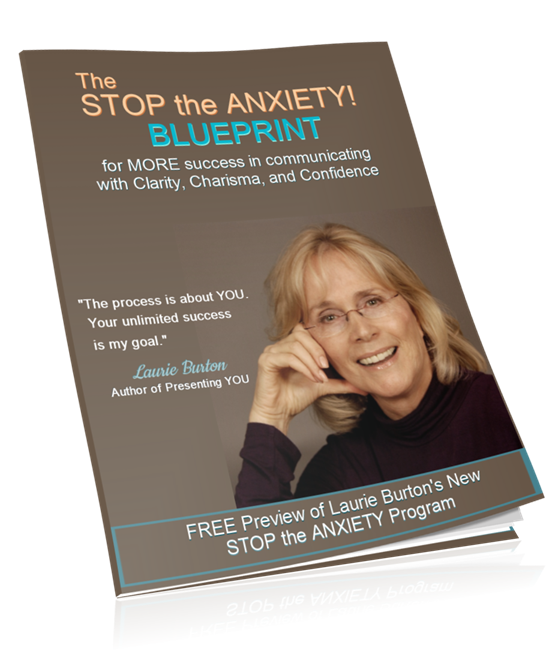 Proven Strategies to STOP the ANXIETY! (and keep your knees from knocking every time opportunity knocks at your door). 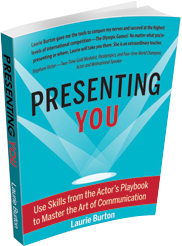 This is personal training, developed from Laurie Burton’s years in front of the cameras in Hollywood as an actress – and over 30 years as a successful communication coach. ABSOLUTELY Nothing to Risk – EVERYTHING to Gain – ABSOLUTELY FREE!